CO-OP CHALLENGE: The multi-player puzzle is a bit more complicated and is configured differently depending on how many players there are. 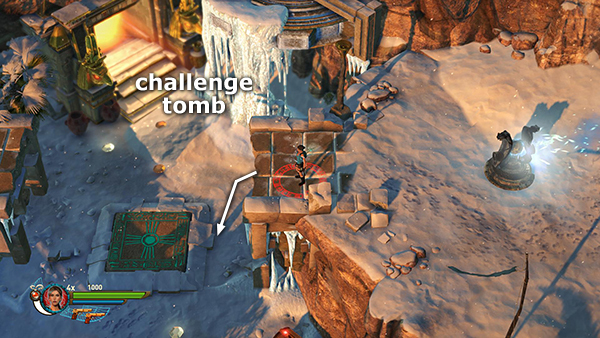 If you have completed all 5 Challenge Tombs, you will also receive a MAX AMMO UPGRADE as a reward and unlock the "I love tombs!" Xbox/Steam achievement. NOTE: I have not played the 3-player version yet, but I am guessing it is the same as the 4-player. The character in the middle would then need to activate each pressure pad in turn, while the others stand on the grapple cable and move around the walkway. If you have additional info/screenshots, please . †UPDATE HISTORY: 1/20/15 - First draft of walkthrough posted. 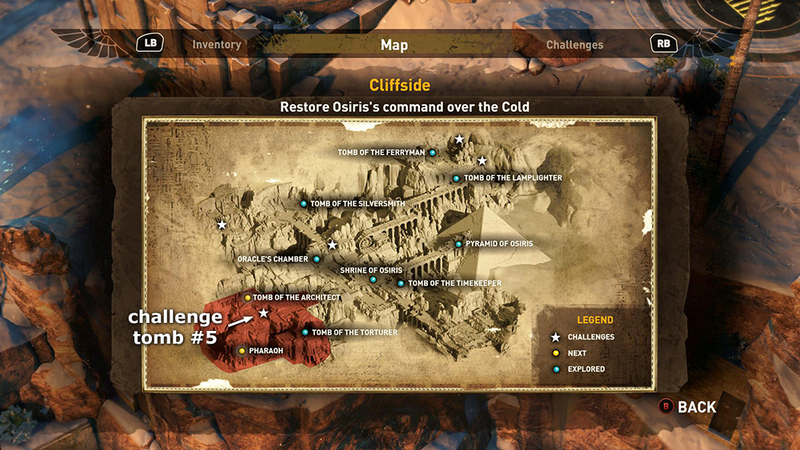 1/21/15 - Added note about rewards for solving all 5 Challenge Tombs. ACKNOWLEDGEMENTS: Thanks to TheJollyMage for the 2-player screenshots. So far I've only played single- and 4-player versions. Copyright © - Stellalune (). Feel free to copy or print this walkthrough for personal use. By all means, share it with friends, but please include this credit line so people can send me their feedback. No part of this walkthrough may be reproduced on another site without permission.